I have been dying to announce this as I confirmed the dates a couple of weeks ago but had to get that seemingly never-ending task of the website redesign done and dusted before I could put the information up. But I am so glad to let you know that I am now taking bookings for my Creative Retreat in the beautiful harbour town of Gardenstown in the North-east of Scotland for Spring 2016. After the wonderful experience of last October’s retreat and with the upcoming sold out retreat which I leave for in around four weeks time it just seemed the right time to book for next Spring again. 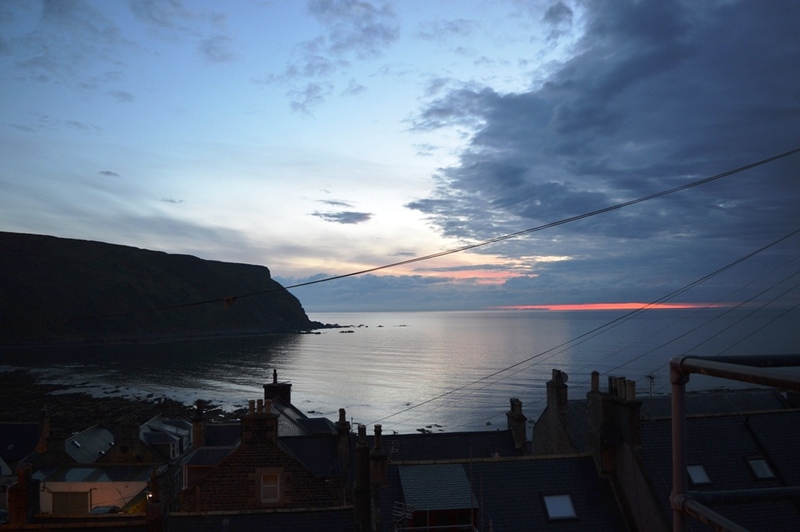 Places are very limited (and selling already) so if you love the idea of travelling to and spending a week in the most picturesque village which clings to the coastline with the sea but a hop skip and a jump away from the accommodation and art studio then you can find all the details and testimonials here. 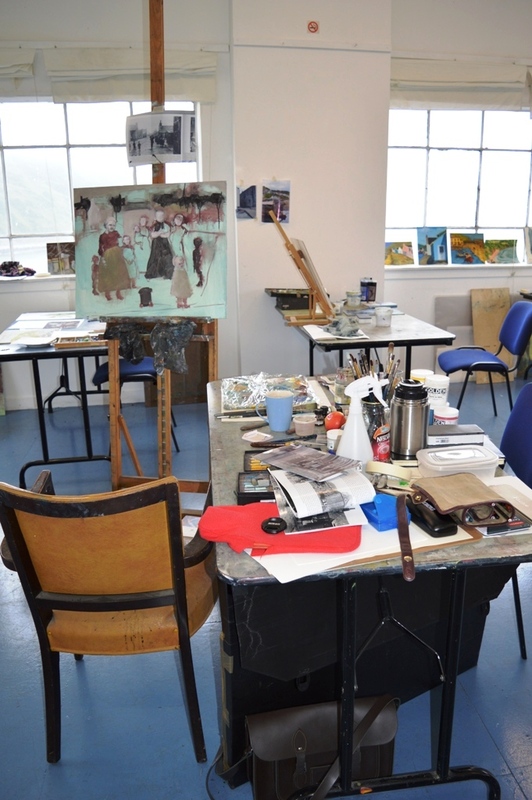 Gorgeous views, the sea air, an art studio with an inspirational view, good company and a week of art! I know I can’t wait. As I mentioned – places are very limited but if you are willing to share a twin room with a friend then I can fit another couple of people in and there is a discount for shared rooms. 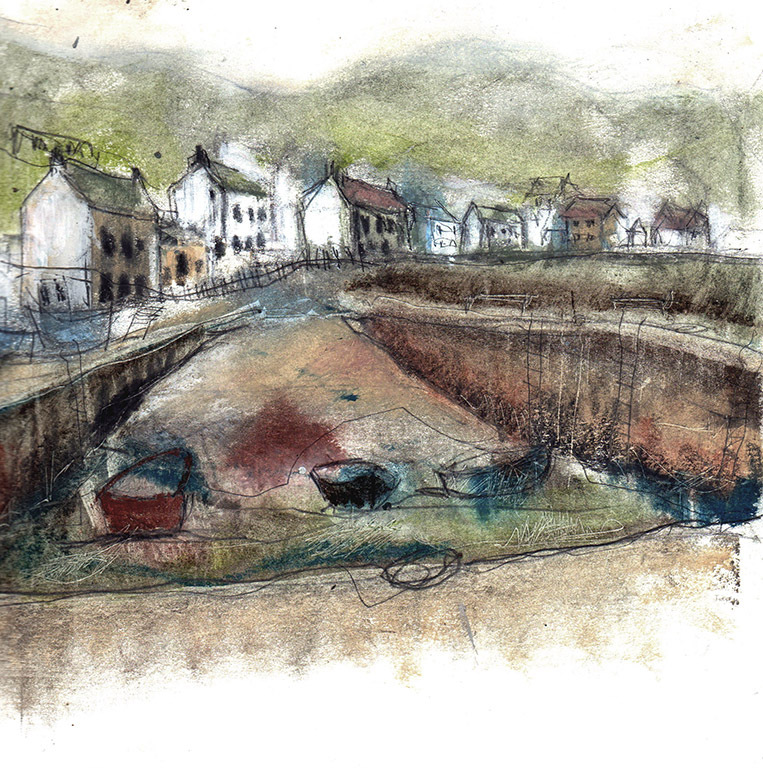 Gardenstown was a huge inspiration for me in my work for We all Cast Shadows with the boat filled harbour, the old eighteenth century fishing cottages, the winding lanes and of course the beautiful coastline not to mention the friendly inhabitants of this beautiful place. It is the perfect opportunity to really escape and become immersed in and inspired by the landscape and the history. Looking back at my blog posts I am ashamed to say I never did around to blogging about the October retreat last year but a couple of the students did (thank goodness) and you can read more from Manon here and Kate here. Whilst I do teach lots of techniques in this workshop, my way of teaching is to really inspire you to discover your own interests in creating art based on this wonderful village. So whether your interest is in landscapes, portraits, abstracts or narrative art I can promise you a chance to be moved and inspired to create art that is your own unique response to this unique place. So if you are interested you can find out more here and read the terms and conditions prior to reserving your place here. Don’t forget to read this post to find out how you can be in with a chance of winning a copy of the collectors edition of the We all Cast Shadows book – here. Thank you all so much for the many comments and all the feedback I have had so far! It feels so good to be blogging again.